It’s not too late to plan the perfect long weekend getaway for next Thanksgiving weekend. Take advantage of the 4-day weekend by experiencing one of these accessible cities. 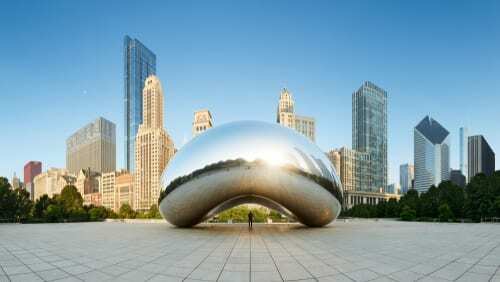 It is pretty easy to reach Chicago from anywhere in the US for a long weekend, thanks to its central location. It is especially easy for Nebraskans, who can reach the city in about 7.5 hours by car. Plus, two major airport hubs – Midway and O’Hare, make it simple to find flight deals on the regular. There’s still time to get away this Thanksgiving long weekend, especially to a place as accessible as Chicago. We suggest booking a hotel stay downtown, within walking distance to the Magnificent Mile. This will give you easy access to trains, ubers, etc. for getting around the entirety of the city. Check out Conde Nast Traveler’s list of the 25 Best Hotels in Chicago, or ask your Enchanted Travel expert if you need ideas on where to stay. One of the best things to do in Chicago is check out their amazing food scene. Head to Old Town, just north of the loop, for a cozy, neighborhood vibe with popular restaurants like Topo Gigio and The Vig. This area is also home to The Second City, where you can catch a comedy act. Denver is another accessible city, especially for our fellow Nebraskans. 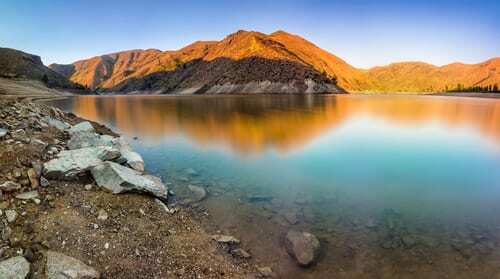 Head here for a long weekend to enjoy the panoramic mountain views and eclectic restaurant scene. We love El Five, a Spanish and Eastern Mediterranean eatery serving small plates and delicious drinks in a funky top-floor penthouse. You’ll also want to wake up early in Denver to take advantage of their awesome brunch options! Head to Ophelia’s Electric Soapbox for live music and American eats. This huge, multilevel “gastro-brothel” is open for happy hour, dinner, and brunch on Saturday’s and Sunday’s from 10 AM to 2:30 PM. 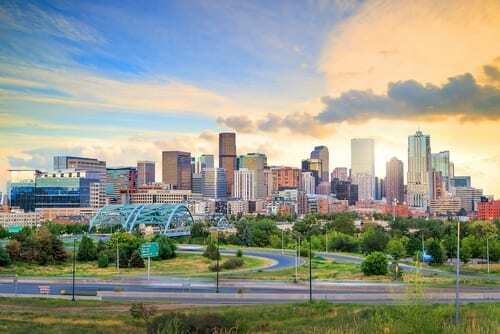 Denver is also a great starting-off point for trips to nearby mountain towns like Breckenridge and Loveland. Take advantage of potential new snow by taking a gondola ride to the summit. For the adrenaline junkies, book a snowmobiling excursion or a snowy hike. 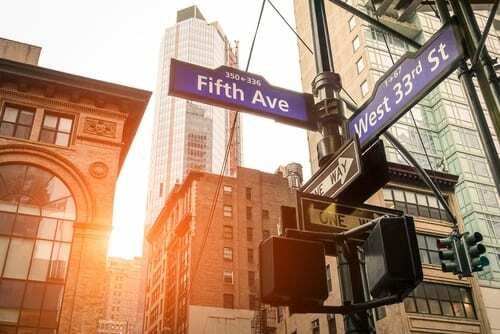 Thanksgiving’s four-day long weekend offers plenty of time to travel a bit farther from the midwest to New York City. Take advantage of the city being relatively empty, especially the restaurants, by booking reservations at hard-to-get tables like Le Coucou and Charlie Bird. If you want to expand your trip from the city to the countryside, take the two-hour Amtrak train ride from Grand Central to picturesque Hudson. This “well-establish antiques mecca” has much to explore and is also a great destination for foodies. How did Hudson become such a hotspot for good restaurants? It started when chefs from NYC began fleeing the big city for a the quaint riverside town and more laid-back lifestyle. One of the best restaurants in the area is Wm. Farmer and Sons. You may be thinking to yourself, Why Idaho?! We get it! But give us a chance to defend this gem. This nature-lover’s paradise is perfect for a quick long weekend escape. You absolutely cannot miss Central Idaho Dark Sky Reserve. This internationally-recognized park is located just north of Ketchum, Idaho. The big draw here is that it has almost no light pollution, which means you can see the full Milky Way by just stepping outside after sunset. During the Day, visit sites like Titus Lake or Pioneer Cabin for hiking and views. Come evening time, relax with a drink at Warfield Distillery. Be sure to take a drive down State Highway 75 after the sun has fully set for a jaw-dropping view of the stars. Atlanta may be less popular compared to favorites like Nashville or Charleston, but don’t overlook it! Here you’ll find an eclectic art scene and things for history buffs to enjoy as well. Make stops at the Atlanta Contemporary Art Center and the High Museum of Art if you encounter a rainy day (or even if you don’t!). History buffs will love walking the BeltLine, a historic railway corridor that has been turned into a trail and park area. 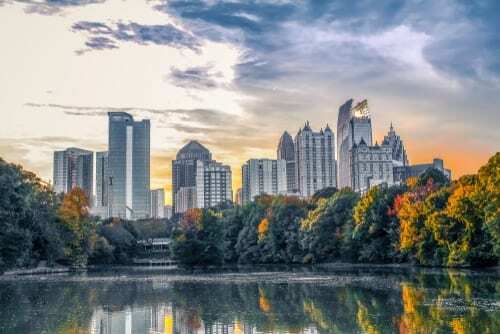 Take advantage of the warmer temps down South by spending an afternoon in Piedmont Park, Atlanta’s answer to Central Park. Don’t forget to try the puffy tacos at Superica inside Krog Street Market. Call us today to book your own long weekend getaway at 402-281-3022.